Location: Junction of Highways 97N, 97S, 2 and 49; 75 km (45 miles) to Fort St. John; 409 km (256 miles) to Prince George; 615 km (370 miles) to Edmonton); 2395 km (1560 miles) to Fairbanks, Alaska. Population: 12,000. Visitor Information: Tourism Dawson Creek Visitor Info Centre, 900 Alaska Avenue, Dawson Creek, BC V1G 3E7; Phone (250) 782-9595 or (866) 645-3022; Email: info@tourismdawsoncreek.com; Website: www.tourismdawsoncreek.com. The Visitor Info Centre is located in the Northern Alberta Railways Park, adjacent to the traffic circle at actual Mile Zero of the Highway. 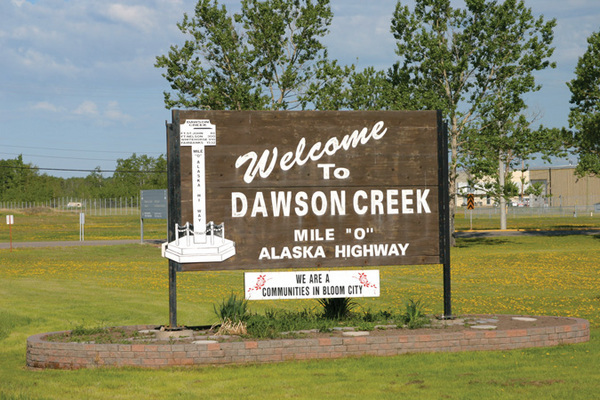 Dawson Creek is situated in the panoramic rolling foothills of northeastern British Columbia’s Peace River Country and is best known as “Mile 0” on the Alaska Highway. The construction of the famous Alaska Highway was a major factor in Dawson Creek’s growth in the 1940s. 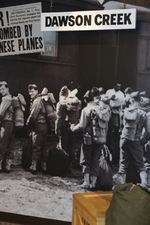 Planned by the United States as an urgent strategic move in the war with Japan, the highway’s initial purpose was solely military. The army used 11,000 soldiers and 16,000 civilians to build the road. The first soldiers and supplies arrived near Dawson Creek in early March of 1942 and the official start of construction took place on March 8. In subsequent days the influx continued and Dawson Creek’s population grew from approximately 600 to 10,000. On November 20, 1942 just eight months and 12 days from start-up, the highway was officially opened. Since 1946, when it was taken over by Canada, the highway has become a vital commercial artery not only for Alaska, but also for northern British Columbia and the Yukon. 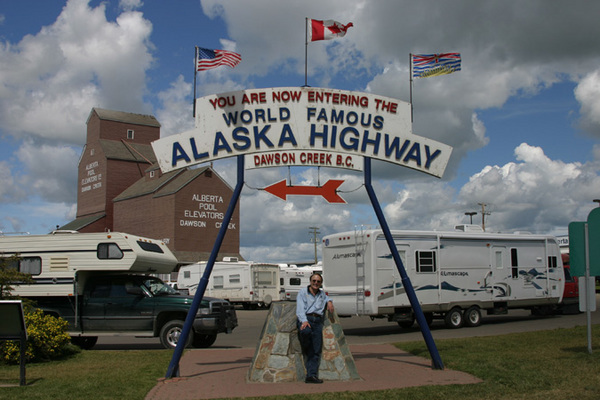 The hub of four major highways, Dawson Creek is a gateway for travelers and a popular stopover point for tourists traveling northward along the 1500-mile Alaska Highway. Located on what was once known as Beaver Plains, Dawson Creek was named for George Mercer Dawson, who recognized the agricultural potential of the area as he surveyed the Peace River Country in 1879. Today, Dawson Creek’s agricultural industry generates over $100 million annually. Most of the province’s grains, forage and oil seeds are grown in the area and Dawson Creek has been among the largest grain shipping points in Canada. The livestock industry produces firm, well-flavored meat. Beekeepers produce heavy yields of prize honey. Vegetables are raised in commercial quantities on the Peace River flats. Many farmers in the area have diversified and bison and reindeer can be observed in many farm fields in the area. Dawson Creek is a well-developed rural municipality, acting as a service and supply centre to secondary industries in the area including coal mining, forestry and oil and gas production. A wafer board plant on the northern outskirts of town uses poplar and aspen, long considered weeds by Peace Country farmers, to produce the product which is stronger than plywood. Several of the original businesses still offer their services and have their place in the town’s history. On a self-guided historical walking tour, visitors can see the place where a fire ignited 60 cases of dynamite, destroying a city block; the Co-op was the only building left standing on the block after the “Explosion of 1943.” Or visit the Dawson Hotel, where a light on top of the roof used to signal to the police that there was an emergency. 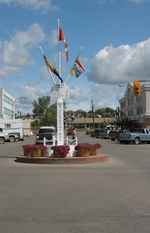 Steeped as it is in history, Dawson Creek has a myriad of sites and landmarks. Its most famous landmark, the Mile “0” Post, started as a four-foot piece of wood marking the beginning of the Alaska Highway. When the post was hit by a car and demolished, the local Junior Chamber of Commerce took up the project to construct a new one. When Chamber member Ellis Gislason was asked to do the job, he saw an opportunity to draw more attention to the beginning of the Alaska Highway by setting up a more elaborate marker. On Christmas Day 1946, the ten foot high post was presented to the city and placed at the corner of 102nd Avenue and 10th Street, one block due south of the Station Museum in downtown Dawson Creek. It was replaced in the 1960s with a metal post of the same design and although it doesn’t mark the geographic beginning of the highway, it does mark the centre of the “Mile 0 City.” A stone cairn designates the actual beginning of the highway. The cairn was located in the middle of the traffic circle on the eastern end of Alaska Avenue, but because of concern for the safety of visitors who wanted to pose beside the cairn for pictures, it was moved across the street to a corner of the NAR Park. Its location is still true to history, but it is now easier for tourists to access. A photograph by the Mile Zero Post is a “must do” for all visitors. At the same corner, history buffs will be interested in the Alaska Highway House, where printed cloth panels outline the history of the Highway; wartime footage and era propaganda are shown in the theatre. 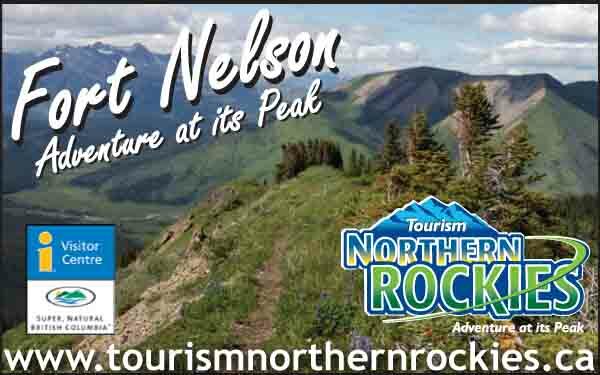 Each year increasing numbers of tourists from all parts of the world, the majority bound for Alaska or the Yukon, move over the Alaska Highway enjoying the wonders of this natural parkland. With a panorama of grain fields and mountains, waterfalls and rivers, valleys and plateaus, the area around Dawson Creek offers one of the last great unspoiled wilderness vacation and resource lands in Canada. Check at the tourist information office to find out about the great fishing and exploring at the many lakes and rivers in the area and for information on nearby Provincial Parks. For a truly memorable wilderness adventure, take a riverboat charter on some of the larger rivers. Higher than Niagara Falls, Kinuseo Falls can be reached by a forestry road which is not for the faint of heart. Bear Mountain Ski Hill and Chalet, as well as an abundance of snow-covered wide open spaces for cross-country skiing and snowmobiling insure plenty of winter excitement. Visitors will find a variety of hotels and motels and dozens of restaurants conveniently located. There are also four RV campgrounds in Dawson Creek. Department stores, banks, grocery, drug and hardware stores and many specialty shops are located both downtown and in the Co-op Mall and Dawson Mall shopping centres. Numerous local theatre, musical and artistic groups lend an enjoyable social and cultural aspect to life for locals and visitors alike. Visitors interested in local history will enjoy a tour of the Walter Wright Pioneer Village with its restored churches, schools, pioneer log houses, general store, blacksmith shop and an extensive display of farm machinery. The facility is open throughout the summer months. Commercial enterprises in the village offer excellent services in a restaurant, general store and gift shop. Uptown, the Station Museum houses the Tourist Information Centre. In May of 1960, the last steam engine left Dawson Creek and in May of 1974, the last passenger train pulled out. Seven years later, the South Peace Historical Society purchased the train station for a dollar and by 1983 a museum was opened in the station. The Station Museum contains pioneer artifacts, wildlife displays and the station office along with its living quarters. In front of the station is a 1903 railcar. Adjacent to the station is a huge wooden grain elevator which has been refurbished. Its annex now houses a unique Art Gallery which features local and touring art shows throughout the year. Experience more of the History of Dawson Creek on the McCoy Brothers Horse Drawn Trolley Tour. 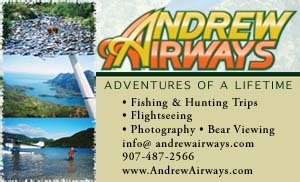 This one-hour guided tour highlights many interesting facts about Dawson Creek and is a most leisurely experience. There is a fee for this wonderful ride that features a handcrafted wagon, drawn by a pair of beautifully groomed work horses. Dawson Creek is proud of its many cultural and recreational facilities, which include ball diamonds, bowling alley, curling rink, 18-hole golf course and country club, indoor ice rinks, outdoor natural ice surfaces, a 400-metre speed skating oval and a junior Olympic-sized indoor swimming pool. The city also boasts a 600-seat performance theatre. Mile 0 Park is a lovely spot to spend a relaxing family afternoon at Rotary Lake and the Walter Wright Pioneer Village.